For life’s bigger problems, church can help provide context and distraction. The following guest sermon was submitted by Jason Lewis. All ULC Ministers are invited to contribute their own sermons for consideration/publication. To submit a sermon, please email it to sermons@themonastery.org. If a loved one or friend is getting older and no longer working, chances are they don’t socialize like they used to. Seniors may find themselves unable to keep up with activities they once could do easily, which can be frustrating. Without loved ones and friends nearby, some find themselves isolated and far from support systems they once had. It’s easy to feel forgotten if you no longer have reasons or means to leave the house. Unless they volunteer, many seniors find themselves with little to do and no one to do it with. Isolation can lead to depression and substance abuse. Many seniors hesitate to talk about their concerns because they don’t want to be a burden. But depression is not a normal symptom of aging. For the general population, depression affects approximately 1 percent to 5 percent of the elderly. For seniors requiring home health care or hospitalization, it affects 13.5 percent and 11.5 percent, respectively. If you notice risky behaviors such as an increase in drugs or alcohol, talk to them about it, and listen to how they say they’re feeling, both physically and emotionally. If you pay attention to their concerns, they’ll be more likely to be open with you. Unexplained physical pain or gastrointestinal complaints. Depression is difficult to diagnose because it mirrors symptoms of other illnesses or medications, but it can be diagnosed by a doctor. If you think your loved one is depressed, make an appointment. Many seniors think declining physical and mental health is normal, but it’s not if they are otherwise healthy. However, if they have been diagnosed with a chronic illness, as approximately 80 percent of seniors are, they may have a greater risk of also developing depression and should be checked so they can receive treatment. Getting up and moving can help ward against depression, as can attending social activities. If your loved one’s friends have moved on, or if they lost a spouse, encourage activities that will help them meet people and make friends. However, do not shame them into going out, especially if they might be depressed. While they may need treatment, moving around might be painful for those with depression. Pushing them to “get some sunshine” and “make new friends” can actually increase feelings of isolation. 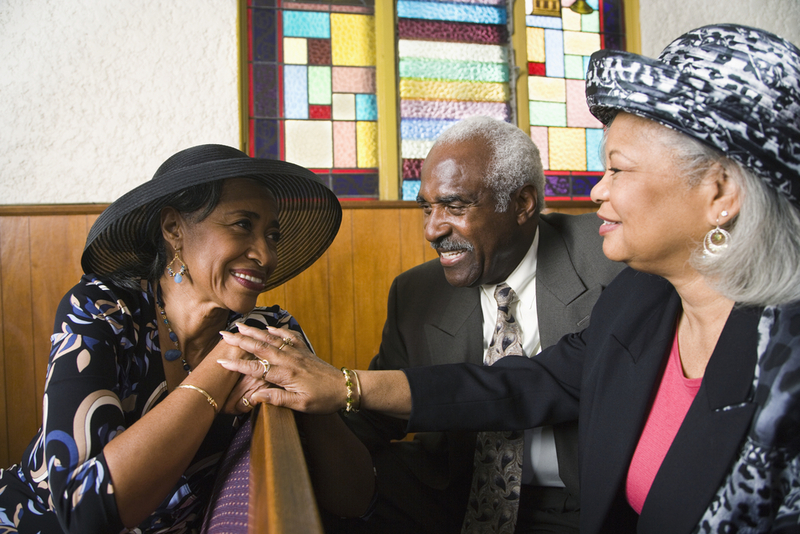 Elderly citizens who exercise for flexibility and socialize regularly are less likely to develop depression, and one good way to meet new people is by going to church. It gets one out of the house and provides a support network for those who may not have one. The pastor and church leaders are available for guidance and proximity to other churchgoers encourages making friends. Church attendance can also provide a sense of peace and an opportunity for putting one’s life into perspective, which helps lessen the importance of daily problems and difficulties. For life’s bigger problems, church can help provide context and distraction. If you think your loved one is depressed, you can find information here. 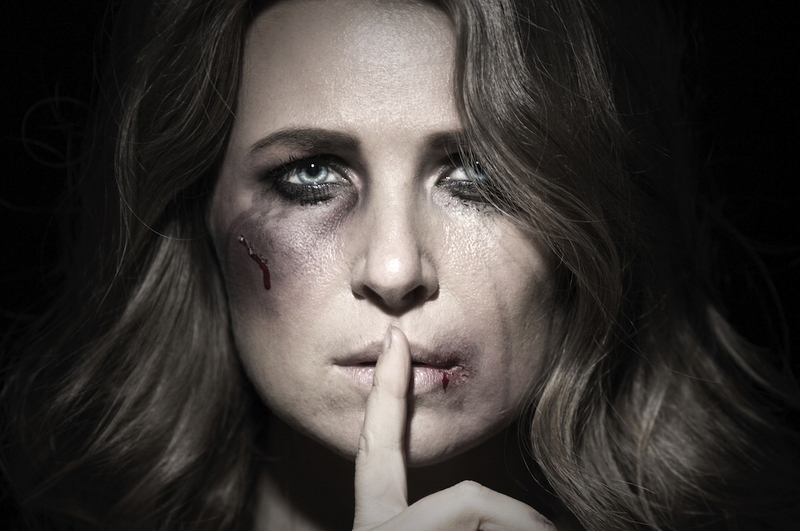 Help is available, and there are treatment options. Church can help. Exercise can help. You can help. Don’t leave them to suffer alone. I can’t imagine myself being lonely or isolated. I’d have to be quadriplegic and mute. I don’t just write a lot on this blog, but go out and talk to people. And I don’t even have to know them. I talk to strangers like we’re old friends, wherever I choose to go,when I go some place, but do spend a lot of time alone in solitude. I maintain a healthy balance between being alone and being with others. Too many people in public are too quiet. Its like being in a library when I’m shopping in stores. But it doesn’t stay that way for long after I get there, as soon as I think of something to talk about. Some lonely 0eople look at me in dismay, as if they were thinking”Doesn’t he know he’s supposed to be quiet, and not talk to strangers”. So they go away lonely and stay lonely. Then they go home alone and isolate. It makes me feel like shouting ” Open your mouths people! Nobody is going to bite your heads off. Most of them are lonely people, just like you, yearning for someone to talk with. “There are those too who give m3 strange looks and quickly move away, and others who I’m not comfortable with, and won’t talk to. We must use some discretion, but not nearly as much as most people do. And definitely not to the point of causing us to be lonely and isolated. Yep. You’d be a blast to sit next to on a flight from Atlanta to Shanghai, Carl! I could see a tiny bit of good-natured trouble occurring there. One great way I’ve found to avoid depression and stay active is to become a ULC minister, and an active contributor on this blog. Some other things that help are giving yourself positive affirmations. Our subconscious minds believe everything we tell it, and the more repetitive the better. Also, when yo are sad force yourself to laugh. We can’t be sad when we’re happy. The physical affects the mental, and vice versa. I’m fifty five years old and became permanently disabled in a very bad motorcycle – automobile collision when I was twenty five years old. That’s why I’ve been retired since I was twenty six, on Social Security Disability Insurance over multiple injuries, and I wouldn’t be surprised if my closed head injury had something to do with the reason why I am no longer at all shy,or reserved. Since I’ve been playing this game for a while I think I know a thing or two more about it than seniors who have recently retired, or are about to, and will try to only give helpful suggestions regarding this subject, as our comments and conversation advances. If you doubt any of that you might ask Dr.Phil. He’s also probably better at quoting sources than me. I’ll look them up if asked to, but it can be very frustrating, so I’d rather not. Then again, if you suffer from major depression or are bi- polar you better follow the advice of a good healthcare provider, such as an M.D.,or D.O.. If neither of those are available to you you might seek the advice of a nurse practitioner, or even a registered pharmacist. And you might also try calling the crisis hotline in your area. @ Carl.. . A good healthcare provider? IE… Such as an M.D, or D.O. Nurse practitioner, Pharmacist. And crisis hotlines ? All these paths mentioned are directed to western medicine philosophies that work on the physical FDA laws of (Only a drug can prevent or cure) only. How about an ND, A natural-path, A metaphycian or the like. Removing ones treatments from the other 75% of the equation. IE; Spiritual, Emotional & Mental aspects of “true cures” rarely manifested in western philosophies as a foundation of betterment. Adam & Eve were made in the image of LOVE (God). They were perfect. Where did all this Emotional, Mental, Physical & Spiritual down fall enter into the Gnome, the DNA / RNA of humans to make us so un-healthy as a whole. MD’s & flawed science blames most ailments on “heredity” & “born that way” implying our launching pad is our destination as we defy-th our temples in a myrid of ways (vices). We are the authors of our own ailments. I agree with you completely J. Personally, I’d much rather be seen by a holistic practitioner, but medicare doesn’t cover that, and most seniors are on limited incomes. That’s why I didn’t mention it. However, for those who can afford such care I’m really glad you mentioned them. And let’s not forget about chiropractors and ayervedic physicians. Accupucture can be very beneficial when applied the right way, by a licensed practioner. There’s also accupressure , and various forms of massage. Some bank on aromatherapy, and even flower essence therapy. Not everything comes to my mind all at once, but surely more will be revealed by others, and I might think of more later that I’ll ad. I’m not commenting on this article to argue, but am only trying to offer some practical and affordable advice to seniors, most of whom which probably can’t afford natural and holistic healthcare, by far most of which is not covered by insurance. I have a diploma on my wall that says I’m a natural health consultant. My time and recommendations don’t come cheap, and I usually don’t give freebies. And for anyone who can’t afford to be seen by anything better than an MD ( who I personally never seek the advice of), I strongly recommend that you only see an asclepian rather than a hygeian practicianer. Church attendance gives me a headache. You might try going to A.A. meetings, or something similar, if you also have a problem going to church. You don’t even have to be an alcoholic. They have open meetings and closed meetings. Closed meetings are for alcoholics only. Anyone can attend open meetings, but sharing in meetings is limited to recovery from alcoholism. If you’re not an alcoholic just say you’re one anyway, and talk the e talk, even if you don’t walk the walk. I’ve been an A.A. member for thirty four years, and you won’t find a better source on the subject than me. Some A.A. meetings take place in club houses where only A.A. meets, and stays open all day. People come and go during the day, and some people hang out in them, most or all day. Most have multiple scheduled meetings each day. The best part about it is it’s free. You might have to pay for a cup of coffee if you want one, but in most clubs and especially during meetings, if you can’t afford a cup it will be provided, free of charge. You might even find you can relate to it more than you think. There are many levels of alcoholism, and drug addiction. It’s time for a break. I need a cup of coffee. And I thawed out some meat, so I might make a pot of chili. We’re big on that in Texas. And don’t be fooled by imposters. Mine is the best there is ! Happy trails! I guess the rest of the gang is still back on the last article, debating about the strange love family, and have’nt found this one yet. I had enough of that one before it got started, and won’t be going back for more. This is a good place for me, so I will stay right here and wait, when I’m not stirring the chili. Don’t get me wrong. I’m not a know it all, or even a guru. I can’t even think of everything I know at once. The suggestions made in the article by Jason Lewis sound very good to me, and I’m sure there will be many more helpful suggestions posted by other ULC ministers. So please use what works for you, and throw away the rest. Nobody has all the right answers for anyone. My chili’s ready, and I’m famished. It also seems like a good time to watch a DVD of Quincy ME. Goodnight ! CARL, WHATEVER it is YER a SMOKIN, ROLL ANOTHER and PASS it OVER !!! Let me get my roach clip, John. Having a garden or taking care of a pet can make people feel useful, and restore meaning in their lives. Even just a pot plant or bird or hamster in a cage will improve morale. Music therapy is another good one. Try listening to your favorite music for an hour a day. Soft, gentle music is nice for people who like that, but if you prefer heavy metal or wrap, go for it ! I sold my last car in 1991, and go every place on a bicycle now. Of course, I live on a flat Island, and everything I care to do is within a three mile radius. I haven’t rode motorcycles in many years, but I was born to ride! And it’s good exercise too. Thank you Jason Lewis for taking the time to post this. Thankyou Steven P Rich for saying something. I was starting to feel like I was the only minister left. Please contribute a lot more, and find others to join you. Thañkyou. Whatever happened to Mayer and Owens? I hope they didn’t run off with Happeny in her hippy van. I’ve really scored high natiowide, on aptitude tests, for writing books. I’m a great story teller, aren’t I ? I should have been a journalist. There’s no sense crying over spilled milk. Speaking of milk, and a couple of packets of saccharin, it’s about time for a large bowl of raisin bran, then I’ll make some pancakes and an omelet. I think they call it the munchies. And I’m truly too good of a cook to not indulge myself,all the way. I forgot to add that I mostly use whole wheat or whole grain flour for making pancakes and other food. We truly are what we eat. Eating wholesome, nutritious food makes us feel bettering. Another thing is taking over the counter nutritional supplements, which can also makes us feel a lot better, when we take the right amounts of the right kinds for long periods. More does not mean better, but can induce toxic affects in most cases, and sometimes even fatal. Just because you don’t need a prescription for them does not mean they are safe. Except for taking multiple vitamins in accordance with the instructions on the bottle or package,don’t venture out on your own and take high potency individual nutrients and herbs before researching them thoroughly in authoritative books on the subject. I didn’t really think you would, Linda. You seem like much too good of a person for that. I’ll be the first to admit that I have a dry, sarcastic sense of humour, and ought to be careful about how I word things. I don’t want to be offensive. Except for when were talking about the likes of someone like Billy Graham. I only dished out what he deserved. And I’m laughing hysterically because he’s dead and can’t defend himself against me. I hope he’s grinding his spirit teeth over It right now. And I’ll only laugh at his ghost if it appears before me. I only use western witch doctors (MDs) for emergencies. And that means going to the emergency room or triage for emergencies. For that I think they do a good enough job, but throw away the prescriptions they give me for pain medicine. Some of us can handle it better than others.MDs also seem like good enough surgeons, but I wouldn’t recommend them for anything else. Holistic health and holistic healthcare were referred to earlier. [Don’t confuse holistic with holy.] Holistic means whole health. Holistic healthcare practitioners treat patients as whole people, which include body, mind, emotions, and spirit. They treat all of those things combined for every condition they treat, as opposed to medical doctors who only treat individual symptoms. Natural and holistic health is gaining in popularity in this country, and it is likely to someday replace the so called medical profession. However, that day has not yet come, in mainstream society, although it is gaining momentum. Still, it is difficult to find an insurance provider which will cover such treatments, and costly. Paying out of pocket can be very expensive, and probably too expensive for most retirees and the disabled. For them there are few options beyond that of “western” medical treatment, for which private insurance and medicare does cover. And we can only take care of ourselves to the best of our ability, within our ability to pay. I just got through making homemade pepperoni pizza using whole wheat flour, extra virgin olive oil, canola oil, spring water, Italian seasoned pizza sauce, sea salt, and two less healthy ingredients called mozzarella cheese and pepperoni. So, nobody’s perfect!!! We must all splurge a little sometimes.Now its’ time to watch another episode of Ghost Whisperer. I’m in love with Melinda Gordon, but won’t let her cross me over unless she comes with me. Well, they seemed pleased enough with me on this article, but I really need to stay away from those controversial religious (especially christian) subjects. Nothing makes me lose my cool or serenity like those articles. At least I’m introspective in retrospect, after I have finally calmed down. Too bad I can’t catch myself before the _ hit hits the fan. I never received a notification of this particular article in my email. I got the two after it, and was working my way backward when I found this one. If you aren’t just far too busy, it can be rewarding to go and visit people. Old people in particular usually have a great deal of knowledge, most of which is lost to the next generation. They also had dreams, experiences, triumphs, and heartaches, disappointments, great sins and great repentance (hopefully). The generation before mine knew how to store all manner of root vegetables without refrigeration. They knew how to treat wounds and stings and when to plant and how to prevent termite infestations without using poisons. They could hunt and fish and make leather. Some could build engines and pumps and the like from ordinary things. My generation had more technology and machinery available at an early age, so we learned less about those things. The present one has Iphones and Androids and the like, so they know less than mine. We should treasure our elders as much as our grandchildren, but most of us don’t. Some of them are a lot of fun.